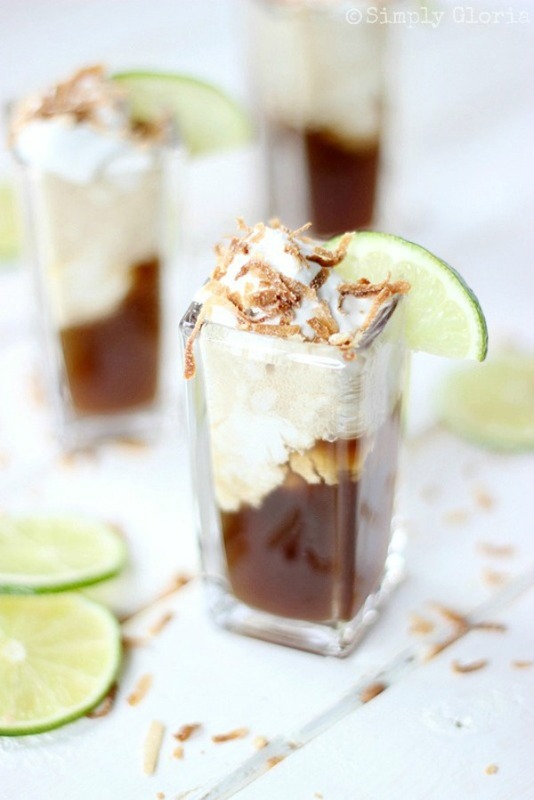 Scoops of creamy coconut ice cream surrounded in bubbly soda with a splash of fresh squeezed lime. 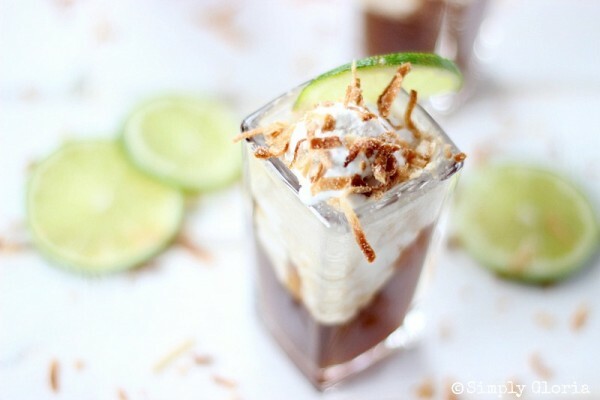 Sweet toasted coconut is sprinkled on the tops of these Dirty Dr. Pepper Floats concoction! Ready to get your dirty drink on… in float style? If you haven’t heard of a clean version of a dirty drink yet, you’re in for a treat! Here’s the low down of a clean dirty drink– mix your favorite soda with lime and coconut = amazing! There’s many different versions of a dirty drink here in Utah (and all over)… but this Dirty Dr. Pepper is a favorite! P.S. you’re going to fall in love with her creative sandwiches and burgers! One of my favorite thing about Lyuba, is that she also has a love for coconut. If you love coconut, too… you may have to check out her Coconut Vanilla Creamy Popsicles! 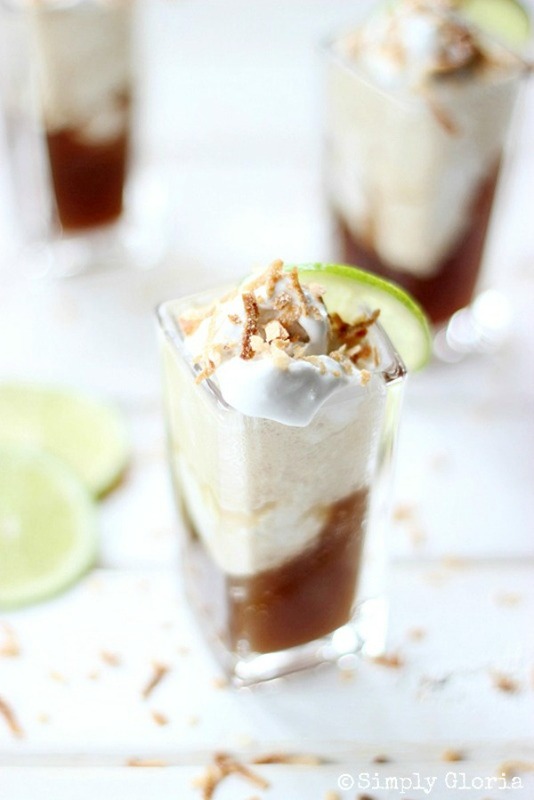 These Dirty Dr. Pepper Floats have plenty of decadent coconut flavor! And the best part, sweet toasted coconut sprinkled right on top! 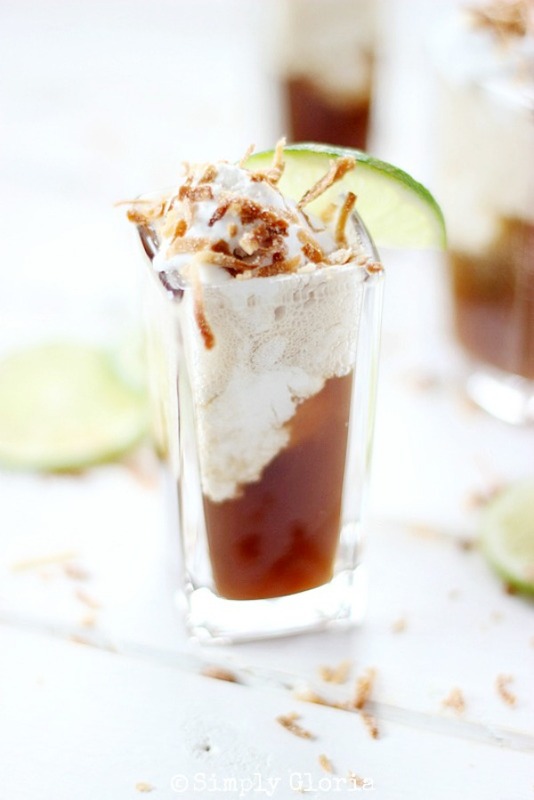 You’re going to love this version of a dirty drink float! Please, visit Will Cook For Smiles for my complete Dirty Dr. Pepper Floats recipe! MMMMMMMMM – yeah, I’m going to have to make this. NOW! I’ve never heard of a dirty float before. Sounds delicious! Heading over to check it out! Thanks, Cindy! Hope you make one really soon! I’m loving this drink, Gloria! Dr. Pepper and ice cream?? Yum! Thanks so much, Elizabeth, you’re so sweet! Blake and I are making these on Saturday, can’t wait! Matt, hope you had a wonderful Father’s Day weekend! Your boys would really dig this kind of float! Damn..it looks good 🙂 and after reading a recipe I have no doubt that it’s really good . Ummm, this looks unreal! Totally something I would have on a summer Friday night 😀 Plus, they’re just adorable, perfect for a party! Thanks for sharing Gloria! Have a fabulous Friday! This looks delicious, Gloria! I would never have thought to pair up these flavors, and it’s just brilliant and looks so fun! These are just too stinking cute!! Yeah.. this looks amazing! Plus the cute little shot glasses… adorable! Need to try asap! These look so adorable Gloria! Sounds so refreshing and I’m loving these pretty shot glasses! I don’t drink soda, but the smell of Dr. Pepper is one of my favorites! I bet this is a fantastic tasting treat! Love the coconut! I had no idea how to make a drink dirty, but I’m so glad I do now. Coconut and lime sound great with soda. Mmmm, I still LOVE these! Yum, yum…Pinned! Wowza – blowing my mind over here. This sounds delicious! You have the best recipes, and my mouth is watering just thinking about this one…especially with this hot weather we have been having. Pinned 🙂 Thanks for sharing at The Makers! Dr. Pepper… My fave! 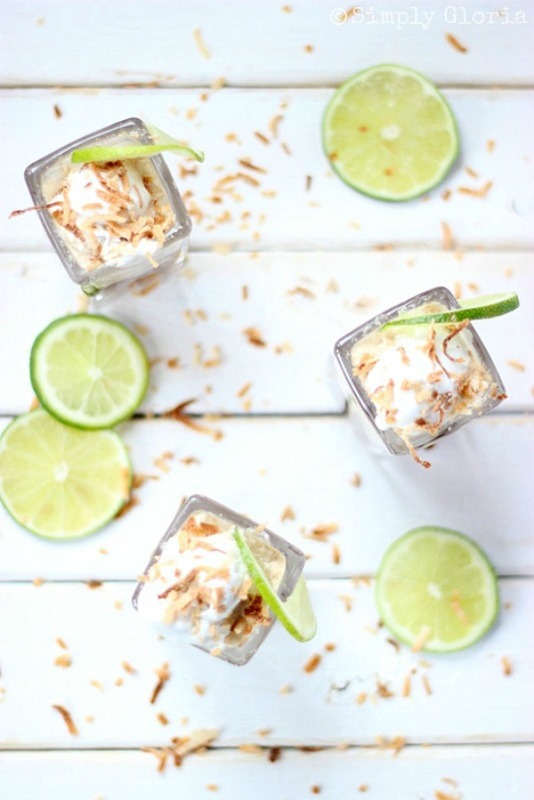 And coconut flakes…. ahhhhh. Thanks! Yum-what a fun party drink to serve this summer! Perfect for my son’t birthday party in a few weeks. Thanks for sharing at Fridays Unfolded! These look so good. I’ve been trying to avoid desserts,but I think you just changed that! Hahaha. My hubs will be happy 🙂 Thanks for partying with us at The Makers. Wouldn’t be a party without you! That’s it, I’m gonna have to follow your site now…pinned! Lol… you’re so sweet! 🙂 I love your stuff, too! This looks so tasty!! Yum!! I can’t wait to make some of these floats. 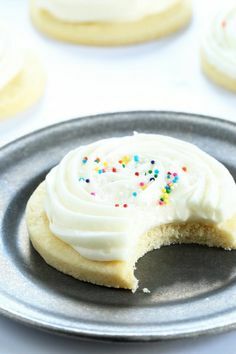 I would love it if you linked this up to my Motivate Me Monday linky party at IT’S A ginger SNAP. I don’t like Dr Pepper but I bet this would be fabulous with something fruity. Thanks for sharing. Hello from the Creative Collection Link Party!